Roots Roundup plays a high energy hybrid of globe-spanning music, mashing up the sounds of rock'n roll, reggae, ska, afro-beat, folk, funk and pure old school punk rock. The Roots Roundup lineup has evolved over the years as members pursued various musical interests including performing, writing, recording and teaching. Core Roots members Greg Hathaway, Dave Hannah (Dym-E-Tree), Barry Taylor, Keith Rose, David Hathaway, Mark Campbell, Shuggy Milligan and special guest trombonist Andy Cakes reunited in 2005, treating a full house of loyal and new fans to a truly rip-roaring two-night performance at the Fairview Pub in Vancouver. 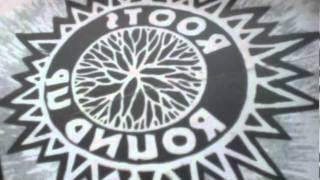 Originally formed in 1985 in a small apartment in East Vancouver, Roots Roundup became widely known through the late 80's and early 90's as one of Canada's hardest working, hardest touring and hardest rockin' worldbeat dance bands. They released numerous independent recordings including "Get Rooted", "What We Do", "Syzygy" and in 1997, "Rootrospective", a 16 song collection spanning their entire recording career.